If you can't get a recording or playback signal to pass through your AudioBox, or if you can't get recording to engage in your DAW (digital audio workstation) software, check for the common situations below. This guide, while written for PreSonus Studio One 2, should generally apply to most current DAW software. 1. Make sure that the AudioBox is plugged into the same USB port as when the driver was originally installed. For more information regarding this, check out this article at our Knowledge Base. 2. Make sure that you have plugged the AudioBox into your computer before you start Studio One. 3. Check that you are using a USB cable shorter than 9 feet (~3 meters), and that you aren't plugging in through a USB hub or extension cable. If you are using a desktop computer, please reinstall the driver on a USB port on the back of the system. The USB ports on the front of your computer may be a simple distributed hub, not true USB ports. 4. Verify that you are plugging your AudioBox into a USB 2.0 port, not a USB 3.0 port. For more info on this topic, please visitthis article. 5. Make sure that the AudioBox is selected as your Audio Device in your DAW. In Studio One, simply click "Studio One" from within the program, then "Options." Then select "Audio Setup" and check the "Audio Device" drop-down box. 6. Make sure that your speakers or headphones are plugged into your AudioBox, not your computer. If the AudioBox is your Audio Device in Studio One, then all sound will pass in and out of the AudioBox, not the computer's sound card. 7. Verify that the AudioBox is receiving a signal. 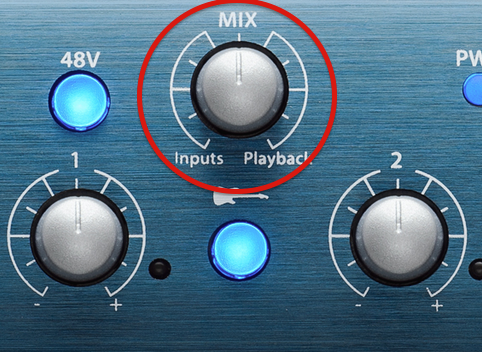 The Mixer knob on the front of the AudioBox changes the blend of the output signal from the AudioBox. The Inputs setting directly monitors the analog inputs of the AudioBox, while Playback monitors the signal coming from the computer. An in-between position creates a blend of these two signals. *NOTE: The iOne does not have a "Mix" or "Mixer" knob. The "Direct" button will allow you to directly monitor the inputs. 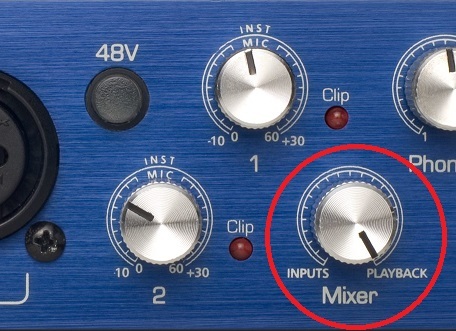 If you turn the Mixer knob fully counterclockwise to Inputs, and you connect functional speakers, headphones, and an input device (such as a mic, guitar, or bass) to the AudioBox, you should hear audio. If you don't, check your cabling and verify that all of your components are functioning properly. For Audio generated on the computer like iTunes or YouTube, you will need to set the mixer knob to Playback to monitor the sound coming from your computer. For instructions on how to set up the AudioBox as your default audio device on your computer please see this this article. Plug your input source (mic, guitar, etc.) into an input on your AudioBox. If using a condenser microphone, see step 9. Speak into your mic or play your instrument, then SLOWLY turn up the gain for the channel you are using until you begin to hear a signal. For instance, if you have a microphone plugged into the left input on an AudioBox USB, this would be knob 1. 9. If you are using a condenser microphone, make sure that the 48V button on the front of the AudioBox is pressed and illuminated. This will supply energy, called "phantom power" to your condenser mic. Note: Do not plug or unplug the XLR cable from the AudioBox while 48V is engaged. Additionally, 48V is not sent through the 1/4" inputs on the AudioBox, so if your condenser micis plugged in via the 1/4" stage, it will not work. 10. 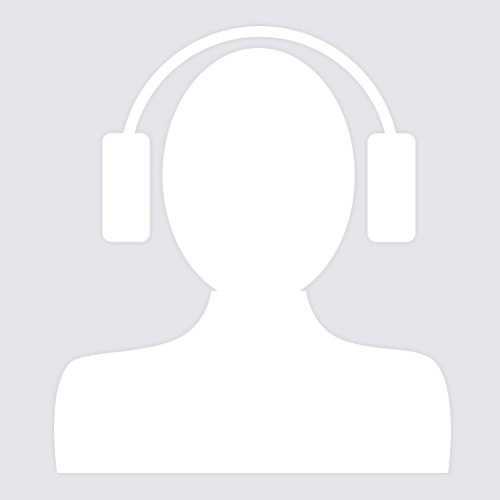 Make sure that your tracks are record-enabled and monitor-enabled. These buttons should be red and blue, respectively, as in the picture below. 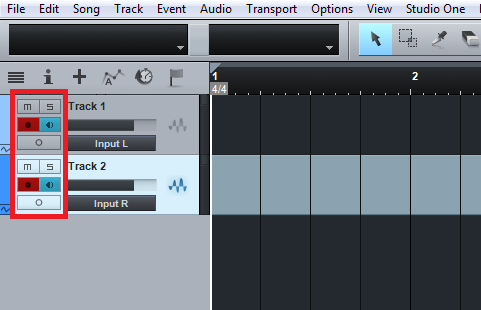 Additionally, make sure that each track is set to record from the appropriate input; in the image below, Track 1 is set to record from Input L, and Track 2 is set to record from Input R. If you click these buttons, you can select a different input source. Note: If no inputs are visible, or not all inputs are visible, see the step below to set up your inputs and outputs (I/O). 11. Make sure that your audio I/O (inputs and outputs) are properly set up. You can use the AudioBox USB template when creating a new song in Studio One but if you create an empty song, or open someone else's project, check your I/O to make sure it's configured correctly. 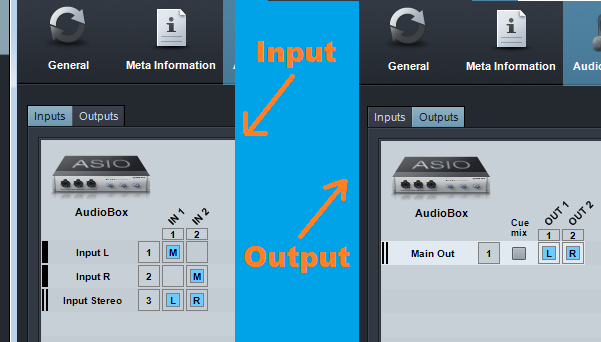 Below is an example of a proper configuration for the AudioBox USB, with two mono inputs, one stereo input, and one stereo output. For more information on configuring I/O in Studio One, check out section 4.3 of the current Studio One 2 manual. You can also access this manual from within Studio One by clicking Help > Contents. 12. If you're using an AudioBox VSL, make sure that a firmware update isn't pending. If you open the AudioBox control panel, and a firmware update is pending, you will be immediately notified to update the firmware. 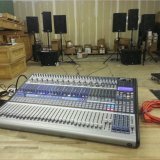 If the AudioBox controls are accessible, meaning that you can move the faders and manipulate the other controls, no firmware update is pending. Note: When performing a firmware update, it is imperative that you do not unplug or otherwise alter the AudioBox, or it could damage the unit. PreSonus recommends that you do not utilize the computer or the unit while allowing the firmware to update. Note: If you believe you are having connectivity issues, such as the device not being recognized by Windows or Mac OS X when plugged in, make sure to check your USB cable with one you are certain works, as well as try all USB ports on the system. Attach the .nfo to your reply. Click Finder > Applications > Utilities > System Profiler (System Information in 10.7 and 10.8). Click File > Save As and save it as "your_name.spx"
Attach the .spx file to your reply.